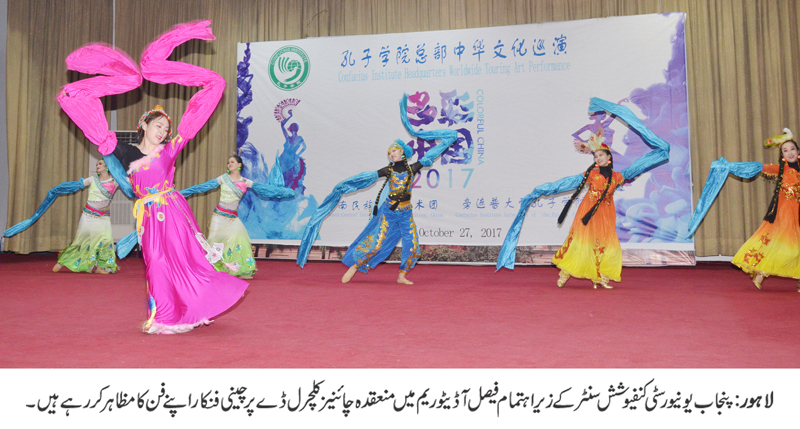 LAHORE: (Friday, October 27, 2017): The first-ever mega Chinese cultural festival held at Punjab University's Faisal Auditorium enthralled audience at Punjab University through performing arts here on Friday. 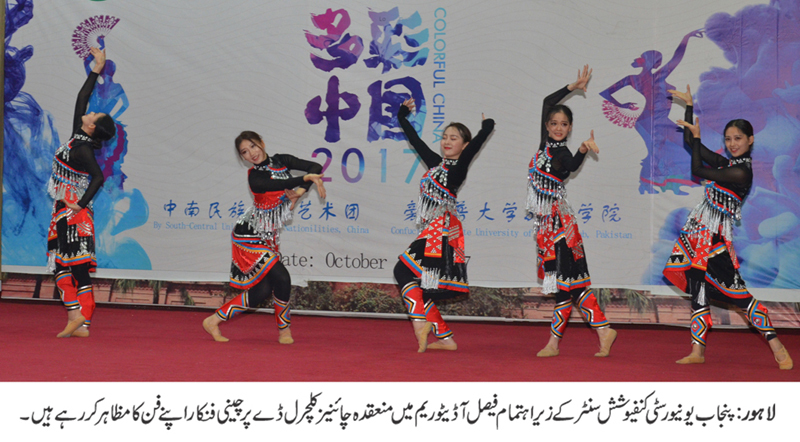 The cultural performance was organized by Punjab University Confucius Institute in which China's Consul General Mr Long Dingbin, PU Vice Chancellor Prof Dr Zafar Moeen Nasir, PU Confucius Institute directors Professor Liu Chensheng and Dr Rana Ejaz, a large number of Chinese from various walks of life, PU faculty members and students were present on the occasion. 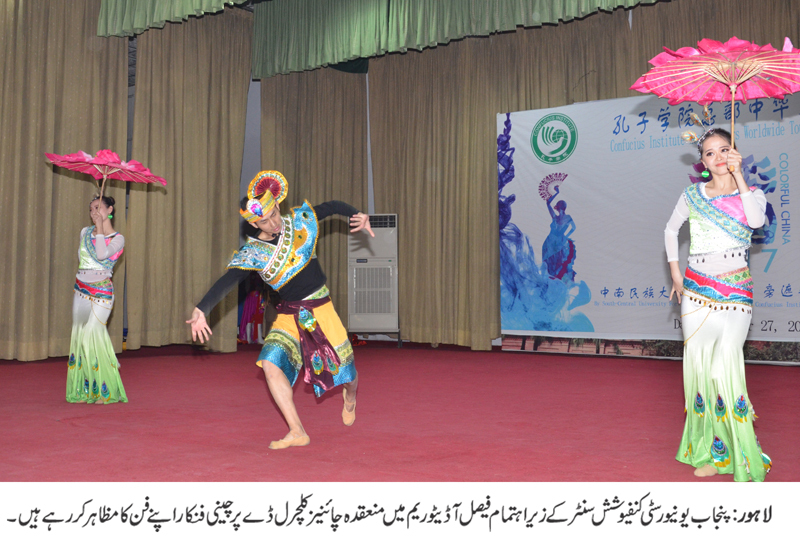 The heart-throbbing performers from China presented various cultural performances belonging to their different regions in China and every moment of their performances attracted a huge applause. The Chinese artists presented Chinese folk dances through colorful performances representing a message that all the ethnic groups in China are members of a unified family. Among all of Mongolian musical instruments, the most representative one is a traditional bowed stringed instrument, the horse-head fiddle. A Chinese artist presented Mongolian horse-head Fiddle Solo as labor, production, life and amusement of the Mongols are closely related to the horse. The audience appreciated diligent, simple and unadorned charter of the Mongols. 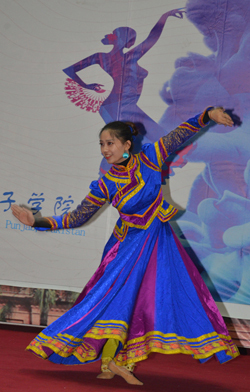 The performers presented female group dance “Snowland Maids”, presenting the culture of Qinghai-Tibet plateau, which is also called “roof of the world”. 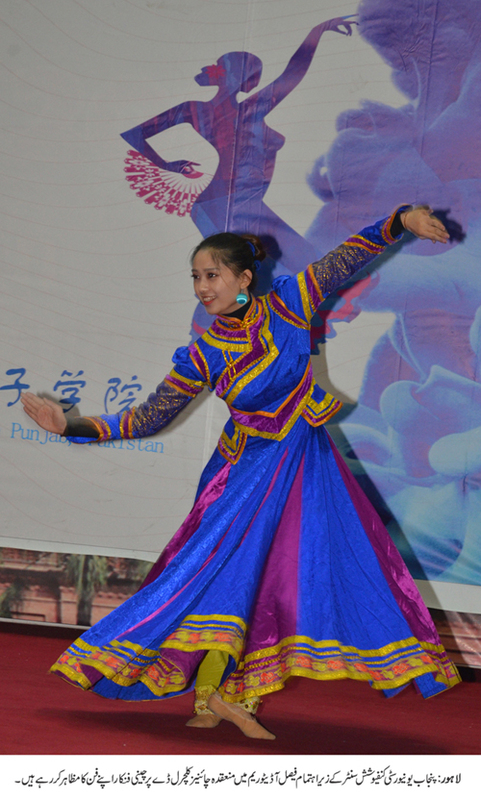 The female performers proved that Tibetan people are very good at singing and dancing. 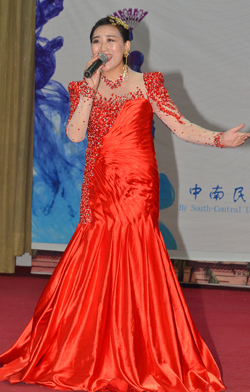 Amongst performers, a Chinese student presented a folk song of China's Jiangsu province, having a mild melody. The melody was graceful and lively. The Chinese performers also presented Stone Statue and Swan group dance representing Kazakh's culture giving a message of Kazakh people's longing for free and enthusiastic life. Pipa, which is having been played for almost two thousand years in China, was excellently tuned by a Chinese performer with rich playing techniques. 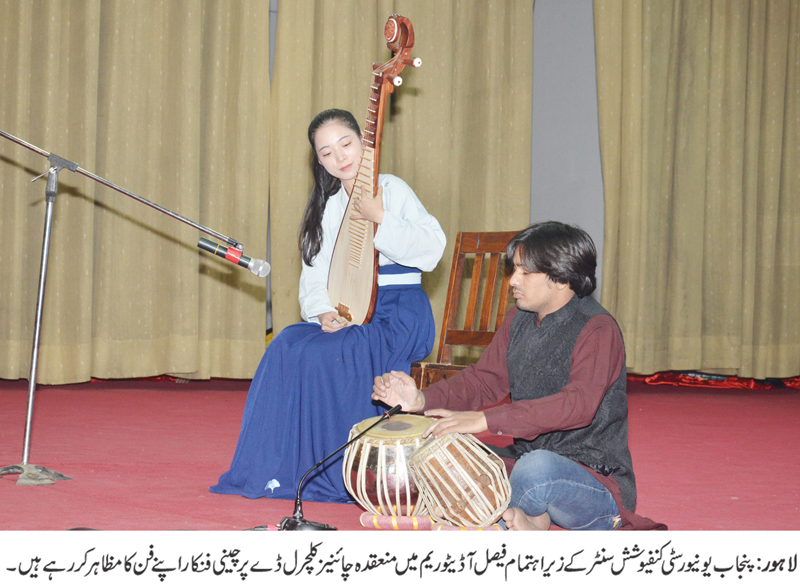 The Pipa was also played together with Pakistan's cultural music instrument Tabla, which created a beautiful blend of Pakistani and Chinese music on different rhythms. 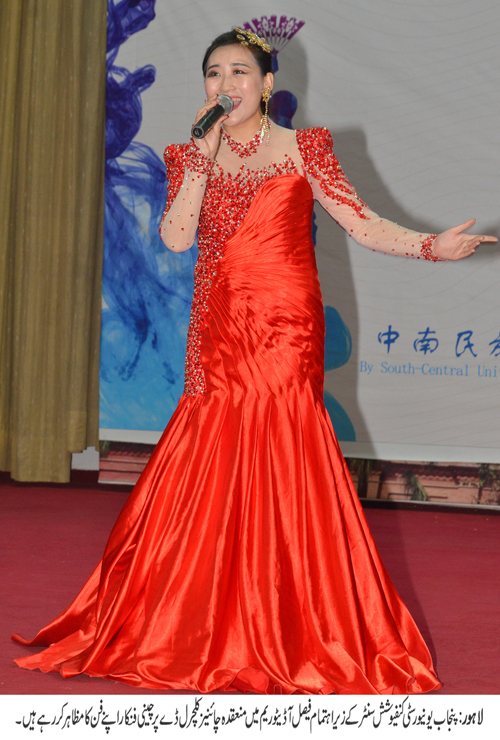 A Chinese performer also showcased martial art skills. The dramatic and amazing performance of face changing, an important aspect of Sichuan Opera, really amused the audience. The Chinese performer waved arms and twisted his head, and his painted masks were changed again and again at lightning speed just like a magic. The artist basically expressed the idea of inner thinking of the characters. Later, a Tibetan group dance and an interactive Tibetan Guo zhuang Dance performance touched hearts and souls of the participants. 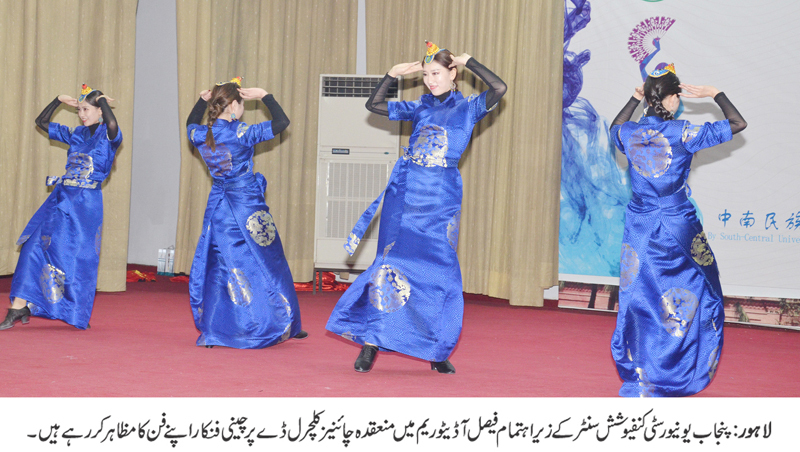 A group of PU students also presented Pakistan's folk songs on the occasion. 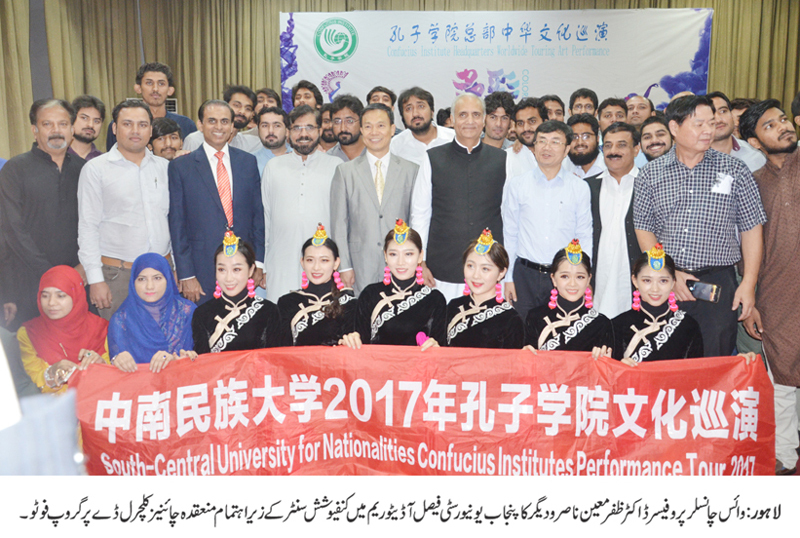 PU VC Prof Dr Zafar Moeen Nasir and Chinese Consul General Mr Long Dingbin appreciated the performances of the artists. Addressing the ceremony, Prof Dr Zafar Moeen Nasir said that China was time-tested friend of Pakistan. He said that China was investing 46 billion dollars in Pakistan which was a historic investment for the development of the country. He stressed the need to promote cultural exchange programs between both the countries.